Beau’s antics and arrogance make him easy to loathe and impossible to look away from in this farce on race and class for the not easily offended. Forensic psychiatrist Rusty Reeves debuts with a brazen satirical novel that leaves few American archetypes unscathed. Witty, provocative prose and a shameless narrator contribute to a work guaranteed to both scandalize and hook its readership. Privileged Princeton medical student Beau Peebles is the novel’s antihero. Technically brilliant but socially a misfit, he has just returned home to Dallas, ready to grace its low-income clinics with his wisdom and magnanimity. Yet Beau, savior complex aside, is thoroughly jaded about those whose health he’s meant to care for. “I was the altar boy for the welfare state,” he says, just prior to a crude remark regarding the smell of his female patients. Opening chapters find Beau recycling, in self-consciously elevated language, every barb ever uttered by those who resent the chronically poor: women’s bodies spit out babies despite themselves, welfare queens wobble away from employment, and so on down the line. Reeves’s prose, while undoubtedly accurately reflecting the viewpoints of some, is sure to appall those who do not share the same sentiments. Beau determines that compassionate people are fools, however, and the stories he relates seek to divest bleeding hearts of their illusions. He elects to change the game by attempting something radical: understanding. In the name of this, he charms his way into a low-income apartment inhabited by a family on the edge. From a box in their living room, he records the family’s every move and proffers unwelcome advice. He hurts more than he helps. He is incapable of regarding his interference as anything other than an opportunity for the family in question. Still, despite his clumsy forays in anthropology, and a subsequent disastrous experiment with living in blackface, understanding eludes him. Beau’s antics and arrogance make him easy to loathe and impossible to look away from. He officiously dominates the pages of Reeves’s book, even as his jaded and obsessive experimentation, along with his inability to resist pontificating, pushes him toward the edges of polite society. 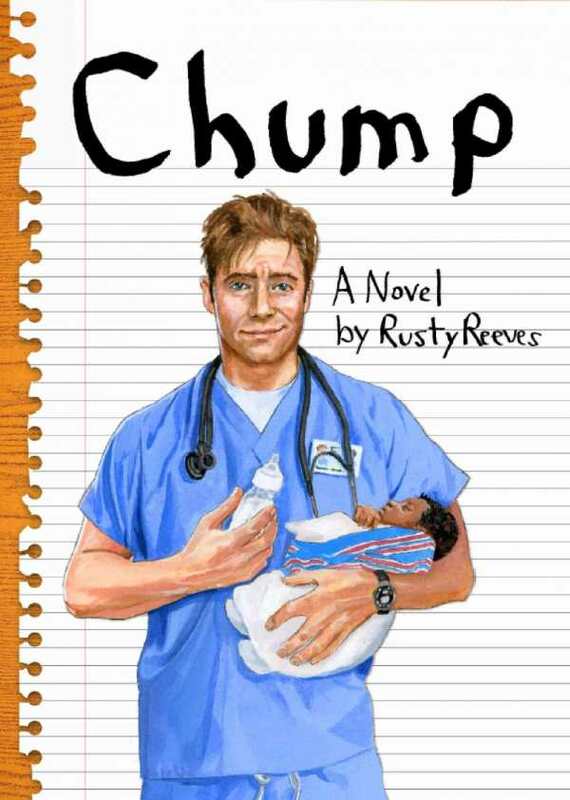 Chump is laden with sexist language, cultivated misanthropy, racism, and classism, but engages these mindsets with such passion that, even at its most offensive, it becomes impossible to put down. The particulars of Beau’s downward spiral make for surprising and consumable reading. A lengthy accusatory poem serves as the novel’s final chapter, indicting all factions of society for humanity’s hopeless state: “I do not plan this mundane fate … / My peers are posers, lonesome losers, best / At following with the band. With hollow chests.” The hubris and eloquence herein are the perfect conclusion to a novel guided by both. Chump becomes something of a rhapsody for the disaffected. Searing and unapologetic, Chump sets itself up as a match for a gas spill which many are content to ignore, and from which few will prove able to look away.